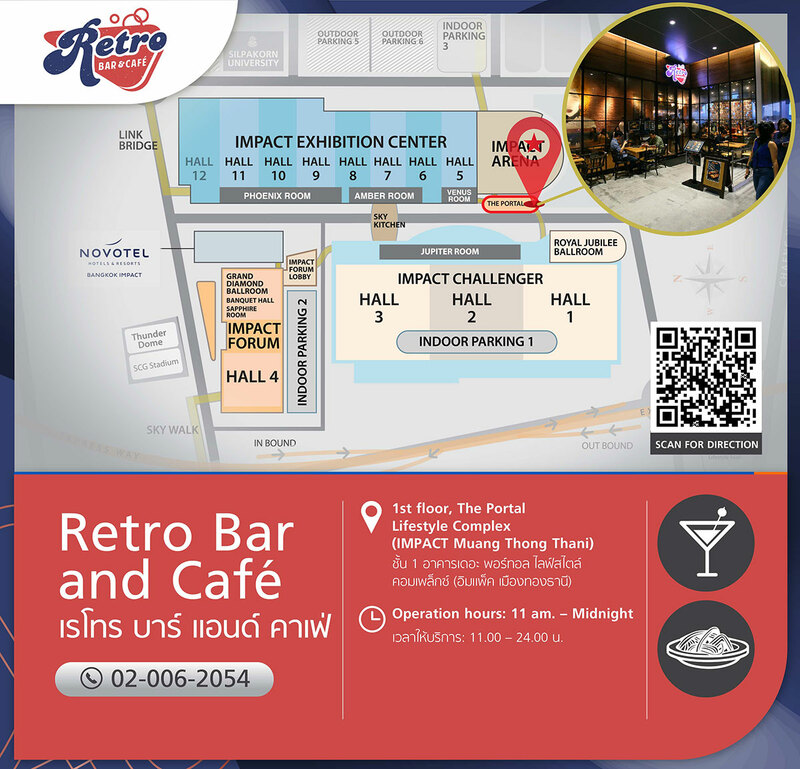 Take a trip down memory lane while enjoying great food and ambiance at IMPACT’s latest addition, Retro Bar & Café, located on the ground floor of The Portal Lifestyle Complex (IMPACT Muang Thong Thani). The restaurant offers comfort fusion and nostalgic food, ranging from snack to lunch menu including pasta, salads, burgers, soup and sandwiches, barbeque and dessert selections. Retro Bar & Café is the latest hangout spot at IMPACT, Muang Thong Thani. Kick start your day with a brew, or kick back with one of our many cocktails, concocted for you by our talented bartender. 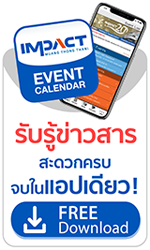 Opening hours: Daily from 11:00-24:00 hrs.